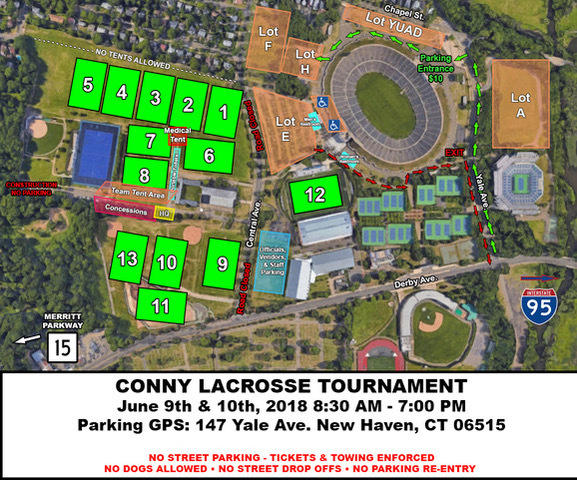 The CONNY tournament takes place at the Yale Fields. The address is 47 Yale Ave, New Haven. Directions here. Note - no drop off zone is available. Park in Yale Football Stadium only. $10 fee charged by Yale. Please read this document about the use of the field.